BOAO, March 29, 2015 - Chairman and CEO of Baidu Robin Li (L Rear) chairs the breakfast meeting with the theme of "Dialogue: Technology & Innovation for a Sustainable Future" during the 2015 Boao Forum for Asia (BFA) in Boao, south China's Hainan Province, March 29, 2015. 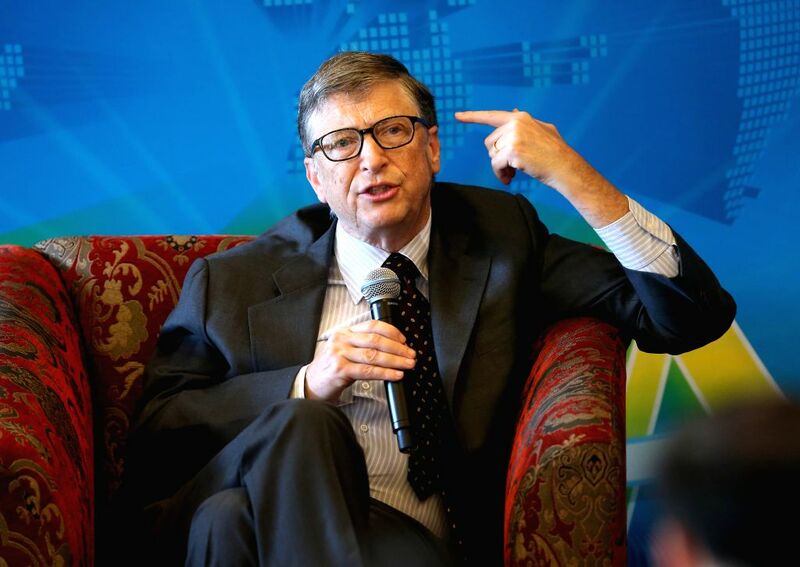 Co-chair of the Bill & Melinda Gates Foundation Bill Gates (C) and CEO of Tesla Motors Elon Musk attended the meeting. 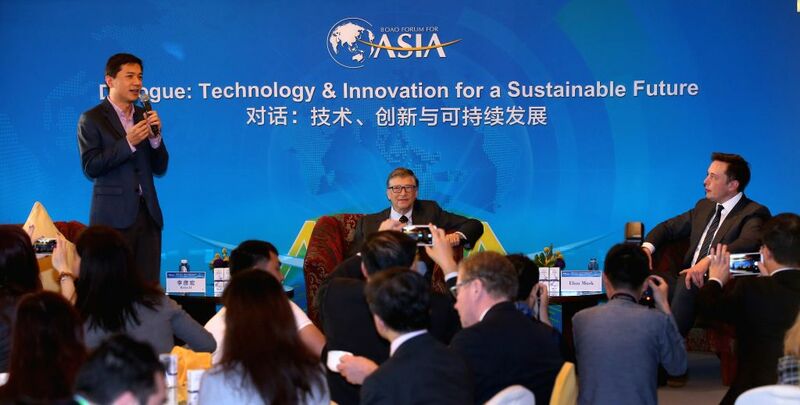 Co-chair of the Bill & Melinda Gates Foundation Bill Gates speaks at the breakfast meeting with the theme of "Dialogue: Technology & Innovation for a Sustainable Future" during the 2015 Boao Forum for Asia (BFA) in Boao, south China's Hainan Province, March 29, 2015.